If you haven't been to the Ko Olina Resort recently, several shops and restaurants including the ABC Convenience Store, Island Country Market have opened over the last couple of years, the location of our luxury vacation rental condos, the Beach Villa's. Island Country Markets, the new concept store for ABC Stores is located in the Ko Olina Station shopping center which is close to our property. 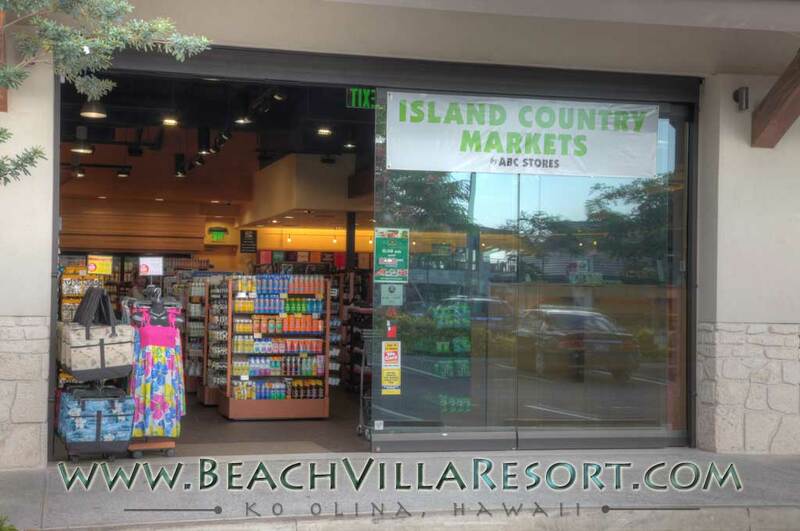 According to ABC Stores Inc. president Paul Kosasaour, Island Country Markets is a new full-service, fresh-market concept, designed to meet the needs of the Ko Olina Resort community. (If you've ever been to Waikiki, you know about ABC stores as they are as prevalent as mushrooms, sprouting out from every street corner. An ABC store is similar to a convenience store or "konbini" in Japan. You would know them as a 7-Eleven in the U.S., Japan and Canada. 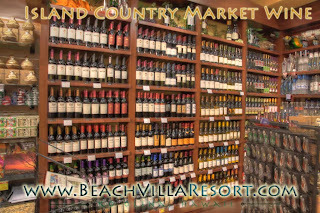 At the Island Country Markets in Ko Olina, you can purchase anything from groceries to liquor to gift items to take back home to friends and relatives. On our recent outing our basket included milk, "at a heart stopping $10.49 a gallon!" We also picked up a bottle of wine, sushi, sandwiches, and some fresh fruit. My son purchased some Tiki key chains for friends, and our daughter picked up some "Zories" or flip flops with the cute flowers on them and other assorted goodies. Now you may be asking, why would you spend so much money here when you can just run into town. 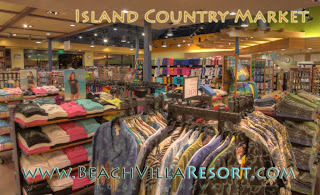 We'll if your time off is valuable and you wish to spend more time vacationing, it's just really convenient to run over to the market for an item or two. 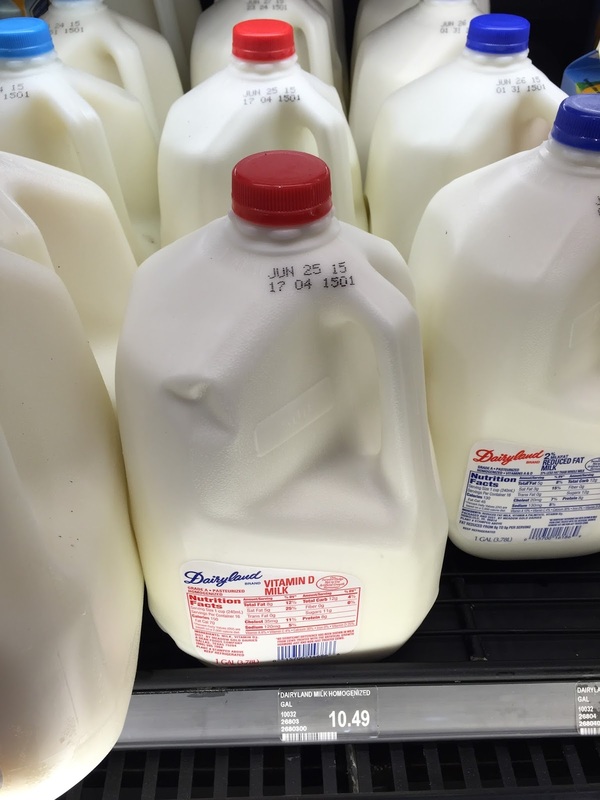 Need some milk, check; need a sandwich for lunch, check. This is especially true on your day of arrival to Hawaii, especially if it's an evening flight to the Islands and the kids just want to get to the beach before going to bed, it's worth paying extra for the convenience. 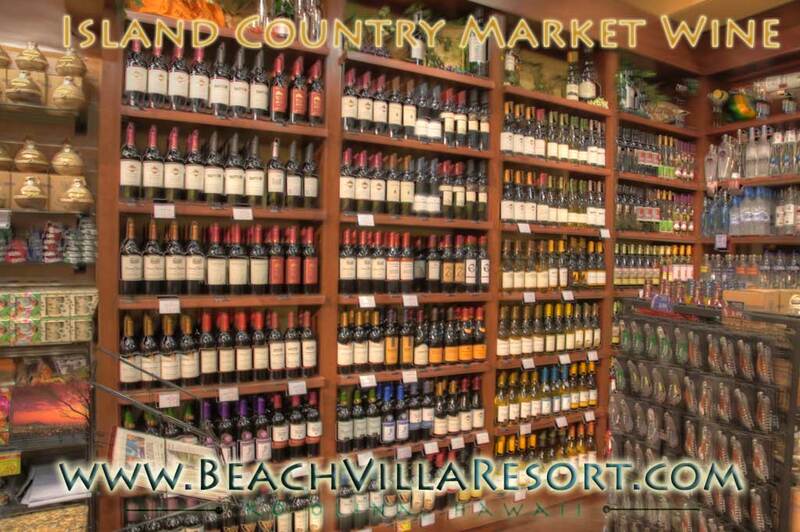 In our situation, we picked up some milk, juice, yogurt, bread and cereal for breakfast on our first night here and spent the time saved at the beach. We'll go to Costco tomorrow to stock up. Repeat after me, hot tub, lap pool, lagoon pool, beach, drinks at the beach bar, grill out, repeat. A great first night at the property! 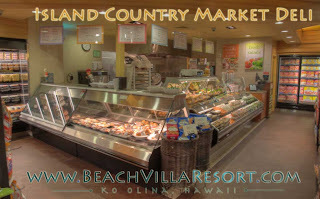 We appreciated having the Island Country Markets right next door to our luxury beach front vacation condo's at the Beach Villa Resort in Ko Olina, Hawaii. It gives our family extra time to spend together and to start our vacation as soon as we arrive. I know it will do the same for you and your family when we see you on your next visit to our place, the Beach Villas in Ko Olina, Hawaii.